Sadly, I receive far too many questions like these. Not because I hate people getting in touch with me, but because photographers in general are facing a major crisis—a business famine. If not a total famine, certainly not enough to keep things ticking over healthily, usually signalled by the often-frantic tone in such emails. How much traffic does your photography website see in an average day, and over the course of a month? As a quick aside, I actually find the term “traffic” a bit distasteful, given that you’re in the people service business. “Traffic” feels more like a cold statistic, and distances you from the real people looking for a photographer just like you. I find the term “visitor” more palatable, and it keeps us connected to the human element of the business. Anyway, the most common answer to my question about website visits is, “I don’t know”, which is a bad sign in itself. After all, you can’t fix what you don’t measure, but that’s a topic for another article. I’m more concerned with finding out how busy your website actually is, because a struggling business is often the direct result of a website that has more in common with a ghost town than a bustling enterprise. In most cases the visitor data doesn’t paint a pretty picture. Generally speaking, I would expect the average photography website to see around 30–50 unique daily visitors. However, I usually see much less than this—often fewer than 15 per day. Given how hard it is to get visitors to become clients or buyers, this level of activity is not enough to produce a steady flow of leads or sales. Being found on Google is often the first choice for getting more photography website traffic, but it should be considered a slow game and it’s important to follow current guidelines. Google is a great source of visitors, especially if your website shows up when people are actively looking for a photographer, or the type of photography you offer. In the early 2000’s, it was easy to get ranked because competition was low and the rules were simpler back then. Today, it’s more difficult, but not impossible. The good news is, most of your competitors are doing search engine optimization (SEO) all wrong, which makes their search rankings vulnerable to someone who knows how to better help Google do their job. Further reading: You can learn all you need to know about getting higher search rankings in my free SEO For Photographers Made Simple guide. Are you using social media in the right way to get more visitors to your photography website? Social is great for relationship-building and helping to spread the word about you and your photography brand. Facebook, Pinterest, Twitter, LinkedIn, and Instagram are all great ways to get the word out about your photography to your social connections. 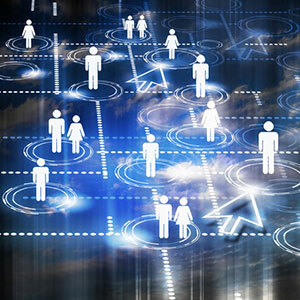 First, though, make sure you take full advantage of your profile on each of your social networks because these are a good source of incoming links and visitors. Next, treat each of the social networks in the spirit they were made for and remember that the key word is “social”. Focus on building quality relationships rather than treating social media as a pure marketing and promotion platform. Too many photographers abuse social media, which makes it hard to gain traction, so I created a simple guide to the 10 most common social media mistakes and how to avoid them. 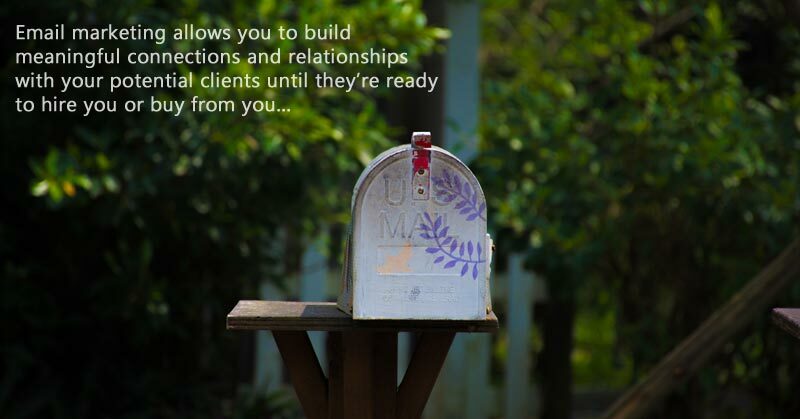 Email marketing allows you to build meaningful connections and relationships with your potential clients until they’re ready to hire you or buy from you. Sending out weekly newsletters is a powerful way to get more photography website traffic throughout the year. Website visitors aren’t only those who see your website for the first time—they also include returning visitors. Sadly, too many photographer focus their efforts on getting more new visitors, rather than nurturing the ones they already have. Because most of your website visitors aren’t ready to hire a photographer or buy from you on the first visit, you can use the power of email marketing to capture them as a lead and then keep the relationship alive through frequent and relevant communication. My one biggest regret in business is that I failed to build an email list from day one, and I’m sure a lost many sales because of it. For that reason, if you don’t have an email list, I strongly urge you to start TODAY. You can get access to powerful marketing automation tools and email marketing for a low monthly commitment, and the company I recommend most is ActiveCampaign. Try them free for 14 days to see for yourself how valuable it can be. To take a more active role in generating website visitors, consider partnering with other local business owners who serve the same people you do. You can exchange blog posts, create referral programs, have contests, and run other promotions. Even a simple recommendation and a link from their website can become a steady source of new visitors. The key is to focus on building quality relationships with the other businesses in your community through face-to-face networking and mutual cooperation. YouTube and Vimeo are both great places to host videos about you, your business, and your clients. Video descriptions can include links to specific pages or posts on your website, and your visitor numbers from these videos is limited only by how many views you can get. Therefore, you also need to focus on promoting those videos on your own website, in your social media marketing, through email, and referral channels. Paid ads are an excellent way to acquire more photography website traffic, but make sure you send your ad visitors to the right place. 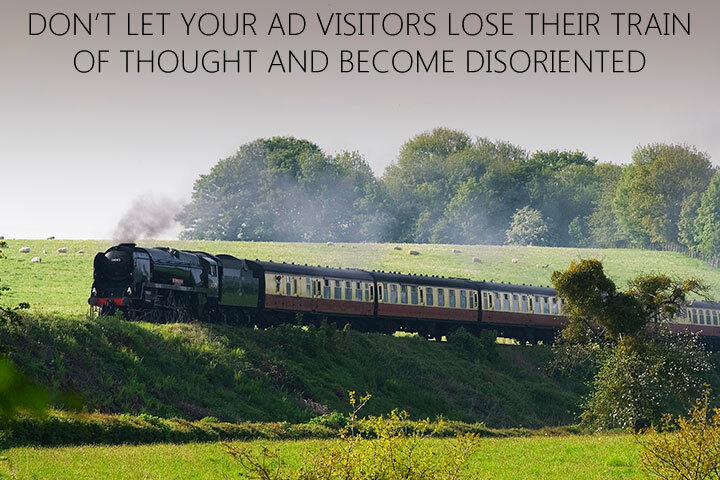 Failing to do so can make them lose their train of thought and become confused, leading to reduced conversions and engagement. Facebook ads or Google AdWords can both become profitable channels, and are highly effective at bringing targeted photography website traffic. The most important thing to bear in mind here is that your ads are unlikely to work well if you point them to your home page, a simple service page, or to a direct sale. Instead, consider creating paid ads for landing pages on your website where the goal is to acquire new email subscribers by offering something valuable (aka “a lead magnet“) in exchange for their email address. Finally, you don’t need to confine your efforts to the online world. Put your business cards to good use by highlighting a useful or relevant article on your website, preferably one designed to convert the reader into a qualified lead with an enticing lead magnet. Do the same thing for any flyers, posters, banners, or other materials you have on display with your photography. For example, if you have work on show at the doctor’s office, hospital, local veterinarian or pet store etc. Of course, you can also create client referral programs with customized business cards to help spread the word among your clients’ friends and family. Now you know the 7 best channels to use, take a moment to audit your own marketing to see how and where you’re actually using them. Look at your Google Analytics or Clicky stats to get the real numbers and see where your visitors are coming from. You can then identify the weak areas, and work on those first. Once you start to see some results, you can move on to the next strategy until your website attracts more of the right people every day.